I previously posted about the new UA Apollo Twin that was announced at NAMM 2014. My good friend Dustin Kayser of Yay Area Entertainment in California wrote an enthusiastic review of the unit for me to post on the blog. Like myself Dustin is a big fan of UA and also owns a UAD-2 Apollo Quad. "Straight outta NAMM & Scotts Valley, Ca- Universal Audio introduces the mobile solution for their groundbreaking Apollo interface called the "Apollo Twin" coming in two flavors: Apollo Twin Solo and Twin Duo. As a proud Apollo Quad owner i've always loved using the Apollo in the studio as my main interface but when it comes time to pick up and do some mobile recording i've always chosen to leave the Apollo in the rack in favor of my Duet 2 for portability (hey, I love the fact that I can fit a whole studio in my Book Bag lol). Like a lot of other musicians, producers and engineers I thought it would be nice if Universal Audio made something smaller similar to the Duet (minus the breakout cables) that included their revolutionary low latency recording feature which would make it a very attractive mobile interface together with their world class plug ins. Well UA delivered right in time for the 2014 NAMM show with the Apollo Twin. As someone who's an 80's baby I grew up in a time listening to music where I now understand and appreciate the benefits of Analog tape, consoles, compressors, equalizers, reverbs and the sound/colors of vintage gear etc. but also young enough to embrace the new cutting edge digital technology that models these behaviors and sonic palates while offering new sounds and an improved workflow as well as countless other benefits. And while it can be argued that Analog (sometimes) still reigns supreme with sound quality you can't ignore the ability to recall a complex session with a lot of effects. 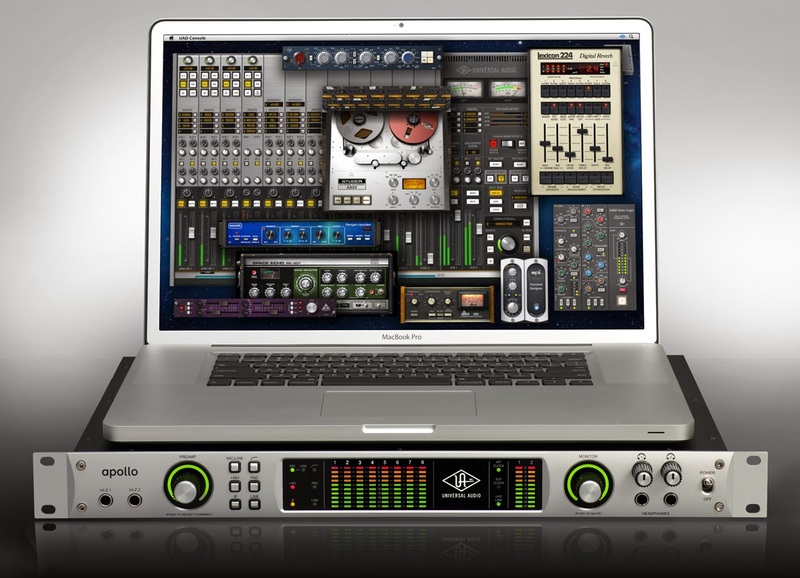 When you factor in your Apollo Twin you now have a virtual studio of accurately modeled legendary channel strips, tape machines, compressors, equalizers, amps, plus the sound of the Ocean Way live rooms in a 2 1/2 lb device the size of a sandwich from Arby's- is nothing short of amazing! One of the biggest new features of the Apollo Twin is something Universal Audio is calling Unison Technology which allows them to model Preamps and their inherent behaviors. The first preamp to bear this technology is the classic Universal Audio 610-B. What makes this preamp technology unique is it's ability to work with the circuitry of the Apollo mic pres along with your mics and it does impedance adjustment. To be clear, UA says that it's real impedance switching not modeling. This is definitely an interesting feature and I look forward to see what other Preamp emulations they come up with in the near future! Now getting to the good stuff. To test out my mobile rig I was using my Macbook Pro, Pro Tools 11, a standard Audio Technica Mic & a pair of Equator D5's connected to the monitor outs (located on the back of the Twin). I'll be the first to admit I'm no Hendrix but I hooked up my Strat to the Hi-Z input and immediately called up the 610 Preamp and played with the input gain, hi's, low's as well as the impedance until I found a tone that I liked. It was really satisfying to dial in a nice sound with the 610. I then added a Softube Amp Room plug followed by a Roland Space Echo with a touch a LA-2A, everything sounded great! I had one of my artists come in and lay some down vocals. The low-cut filters came in really handy. 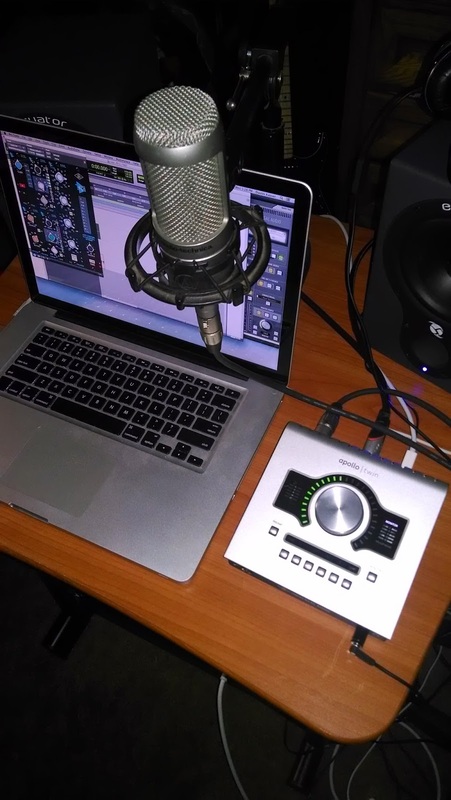 A little bit of 1176 and a touch of SSL E-Channel Eq complimented the aggressive rap vocals nicely. I also had a singer come in and she layed her vocals as well. I ran her vocals thru the LA-2A to get some of that nice tube compression that complimented her voice and just a touch of EMT-140 Reverb to let the vocals sing in the mix even more. You can really dial in a classy sound in no time. I'm also looking forward to experimenting with the API preamps more later on. 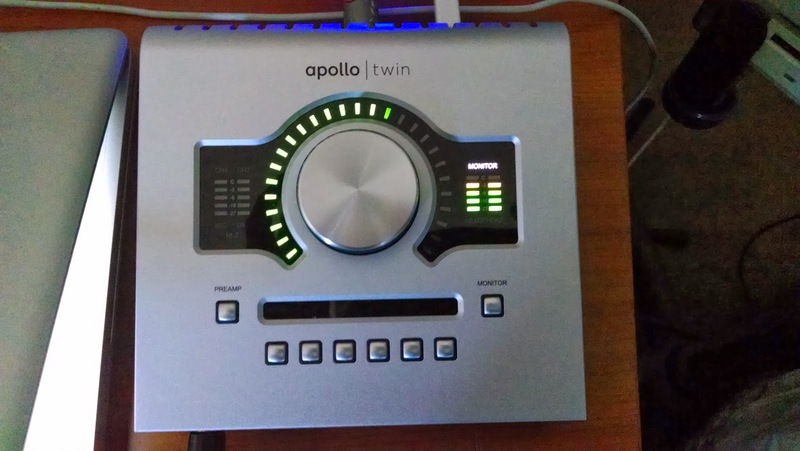 The conversion quality of the Apollo Twin is excellent capturing audio up to 24 bit/192 kHz and even though my Duet 2 sounded great to my ears I really feel the sound of the Apollo's conversion is definitely a step up. The two Preamps are high quality and very transparent. On the front panel you have your controls for a low cut filter, 48v Phantom Power, 20 db pad, polarity inversion and stereo linking. The ability to capture sound in such a high quality but also shape it with these plug ins almost anywhere just reminds me that we're really living in a great time right now! The controls are solid and well lit up. Muting is as easy as pressing the big knob and the dial turns red. I would have prefered that the big knob have a smoother stepped increment kind of feel like some other devices feature but to be real when the music's playing you really don't notice anyways. The digitally controlled analog monitoring overall was smooth and precise. The Console app is great once you understand the layout. UA provides informative tutorial videos on their website. The plug in GUI's are beautiful with nice attention to detail. The rear panel features: an ADAT connection, 2 Mic Pre's/Line in's, 2 Line Outs, 2 Monitor Outs, Thunderbolt and Power switch. Goodbye Breakout cables! The Hi-Z input and Headphone output are located in the front of the unit. On the downside some people may feel that only having a Solo or Duo processor is a bit power shy (I can't speak for the solo) but with my Duo I felt like I had just enough processing power for recording and experimentation on the go. 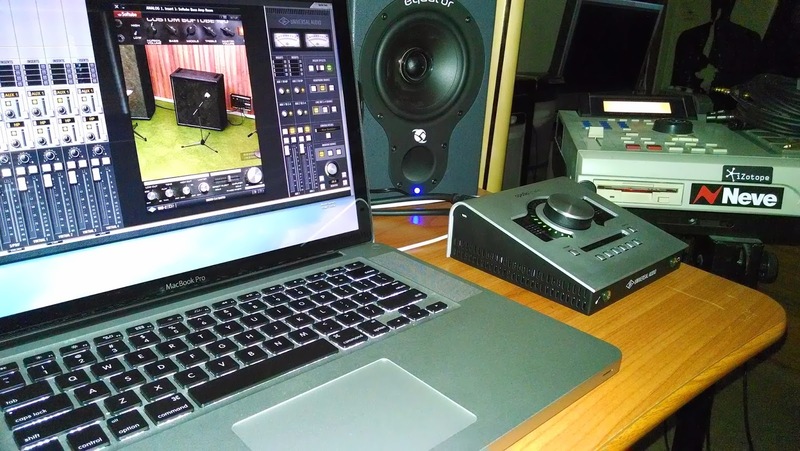 Whatever else I might need during mixing I could simply re-allocate my resources in the mix for additional processing. 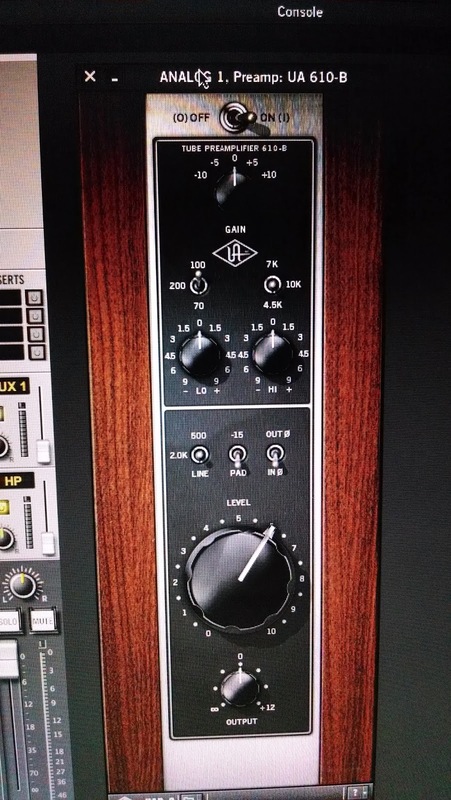 The new 610 Preamp is also very CPU hungry as you can only run 4 stereo/8 mono instances on a Twin Duo but realistically most people won't need that much just for recording an input or two at a time with the Twin and if they do then the Apollo Quad or 16 is better suited for that type of users needs. Also to be fair it doesn't include a Thunderbolt cable which I think should have been included. And as of now because of it's Thunderbolt only connection the Twin is limited to Mac users only (for the time being) until more PC manufacturers start integrating the Thunderbolt ports into more of their products. When that happens you can bet UA will be eager to cater to it's loyal PC crowd. And finally the Thunderbolt connection doesn't provide power to the Twin so you're going to have to plug in a standard power adaptor to power the interface. In other words if you're into making music on the beach you're gonna have to run a really long extension cord (lol) but for the majority of users it's not an issue considering how powerful the unit is combined with the sound quality available in such a small footprint. With that said everything about the Apollo Twin, even it's packaging is exceptional. Excellent Sound Quality & conversion. Impressive new Unison Preamp technology. 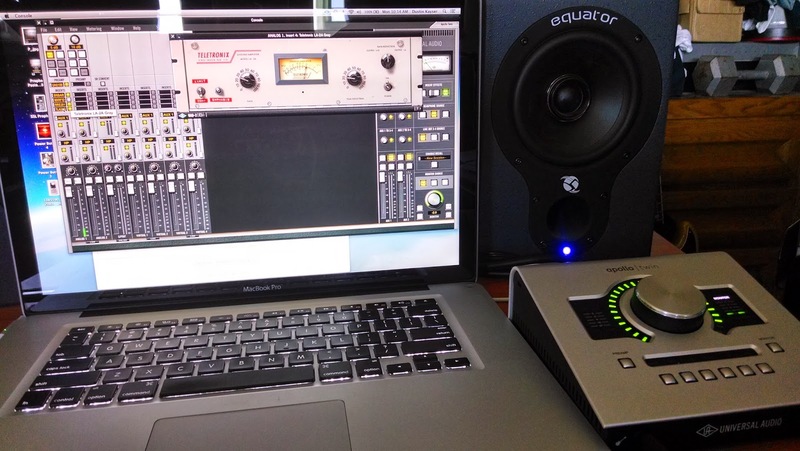 The (included) 610-B Preamp sounds great. Includes SoftTube Amp Room Essentials. Strong solid construction and build. This thing is versatile and great for travel while providing excellent sonics...Highly Recommended!!!" 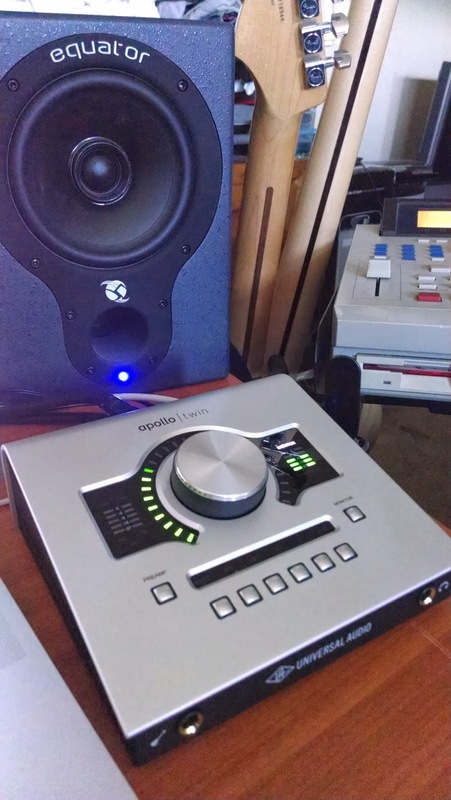 The UA Apollo Twin Duo is Available at various dealers for $899. Some of which will give you a FREE Thunderbolt cable.